After chilling out listening to ‘4 Minutes All Me’ all week I decided to check out some more aggressive OMB Shawniebo cuts before I turned into some sort of happy lazy walrus or sloth or some other lazy animal. His newest track, ‘I’m Gr8’ certainly fit the bill. Great chorus/hook. You are Gr8 Shawniebo don’t let anyone tell you differently. Anyone know what the deal with the lanyard with what looks like laminated photos on it is that Shawnie is rocking around his neck? I noticed he was also wearing these in the ‘4 Minutes All Me’ video. I’m speculating that it could be photos of fallen friends and he’s wearing it like a chain as a tribute to them? One minor quibble I had here is that I wish he got rid of that producer tag that you hear numerous times in the video; I checked out his full project ‘Problem Child’ today too and it was a pretty hard mixtape overall but for some reason a lot of the tracks on it had that same tag over and over again. 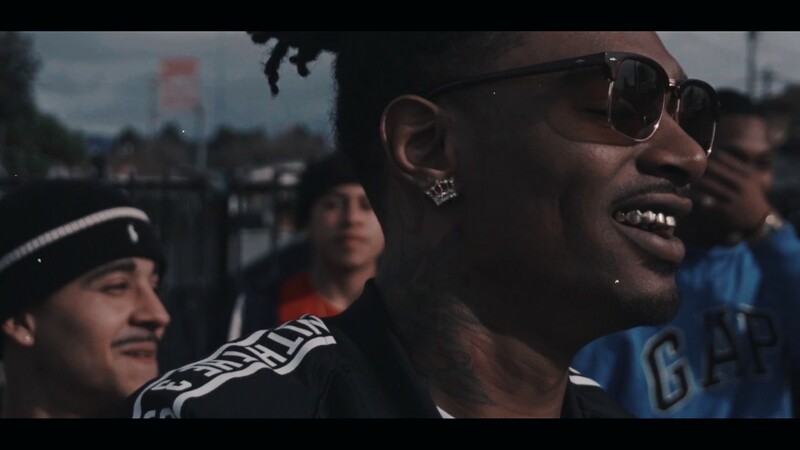 In any case, good new song from OMB Shawniebo as he builds on his recent momentum and continues to quickly move up the power rankings of bay area rappers.